Christadelphian Atheism is Christadelphian reform taken to its logical conclusion. 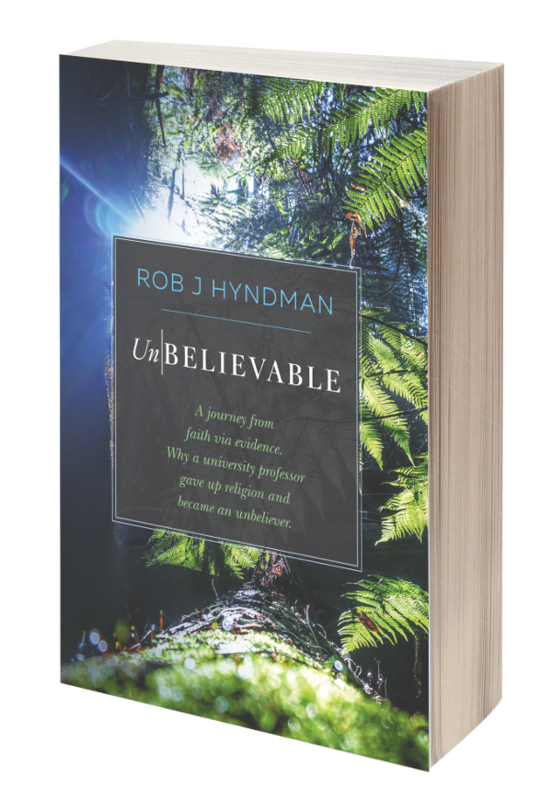 We Christadelphian Atheists favour The Scientific Method of thinking and discovery and we favour mainstream scientific theories such as the Big Bang, the inflation of our Universe and Evolution. But the Big Bang had to come from somewhere and because the sum total of all the mass and energy in our Universe totals zero, we think that the Universe came from nothing. But "nothing" in that sense does not mean the "nothing" of the generally accepted English usage of the word. Obviously there would have to be "something" in that "nothing" and scientists have demonstrated that "nothing" is actually a seething mass of energy so great that its sum total cannot be imagined or even estimated. "Nothing" might be the" Void" of Quantum Field Theory. Researchers have observed atomic particles travelling into and out of The Void and it is possible that they might be travelling outside of our Universe. We simply do not have a word in the English language to describe the "nothing" that we are thinking about. So we have to use the word "nothing" even though it is describing something completely different to the normal understanding of the word "nothing." "So what has all this to do with Christadelphian reform" I hear you saying. It has everything to do with Christadelphian reform. We Christadelphian Atheists don't believe in a First Cause Divinity outside of our Universe, but nevertheless we have to appeal to a First Cause "Nothing" that is outside of our Universe because we can't explain the Universe from within the Universe itself. That is a big weakness in our case. Unless and until we can explain the Universe without appealing to a causal factor outside our Universe, we are basically screwed! 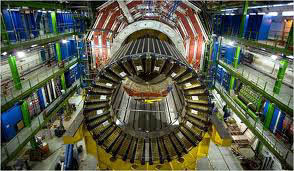 The CERN reactor. What exactly did they find? But if the Christadelphians were to re-name our "nothing" to "God" we would have to agree with them and might ask to be re-admitted into fellowship. Or if the Christadelphians were to allow us to rename their "God" to "nothing" then we would consider them to all be Christadelphian Atheists. Or better still we could have a re-union. This may all sound a bit crazy, but I hope you get my meaning. As I see it, the end result of Christadelphian reform is Christadelphian Atheism. But that does not necessarily mean rejecting the concept of God. It is merely a question of how you define that God. Because we Christadelphian Atheists also have our own "God" who created the Universe, the Earth and all life upon it including Homo Sapiens, consciousness and morality. Our "God" is the inestimable power of the energy within the Void; or "Nothing", which is not subject to the physical laws of our Universe any more than the contents of a Black Hole when you go beyond the Event Horizon. That "God" created everything that we know and has probably created other Universes and humans as well. - Sounds familiar? Ultimately it might just be a question of semantics; of how we use words. If we can agree that there is this point of contact between us, then it would be reasonable for both Christadelphians and Christadelphian Atheists to allow a degree of tolerance for those who wish to stand somewhere along the broad spectrum of the united Christadelphian and Christadelphian Atheist spectrum. Basically we would believe the same thing and it would merely be a question of interpretation as to how people work out the finer details of the belief system. If Christadelphians were to argue that the Bible was a timeless handbook not intended to be taken literally, but designed to explain the purpose behind the activity of the Quantum Void; we Christadelphian Atheists might struggle to come up with a refutation of their claim. If we asked Christadelphians for evidence to verify their claim, they could justifiably say that they don't require evidence, because like the energy within The Void, the Bible is operating in a different dimension. 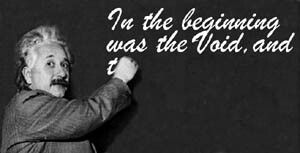 We can't provide any evidence to prove our claims about The Void any more than Christadelphians can come up with any credible evidence for the veracity of the Bible. Perhaps it does not matter. Perhaps it does not operate the way we think that it operates? Perhaps the Heisenberg Uncertainty Principle applies to the Bible? We can't prove where an electron is at any given time and the Christadelphians can't prove anything about the Bible. I've probably said enough to make your head spin; but I want you to think about this and let us know what you think in our Comments section below, on our Facebook page or in a letter to our editor for publication. Ultimately, it's not what I think that matters; it's what YOU think, because we do this for YOU. And we want to know what YOU think.